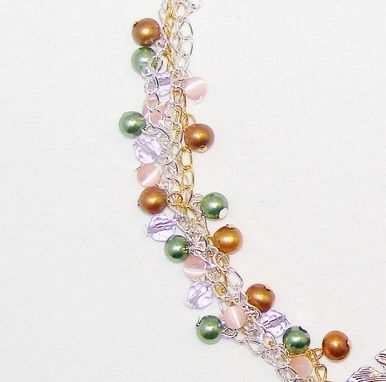 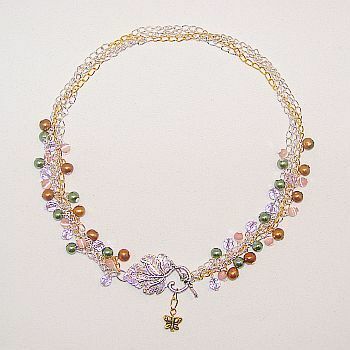 Four strands of chain with gold freshwater pearls, green glass pearls, lavender Czech crystals and pink cat's eye rounds. 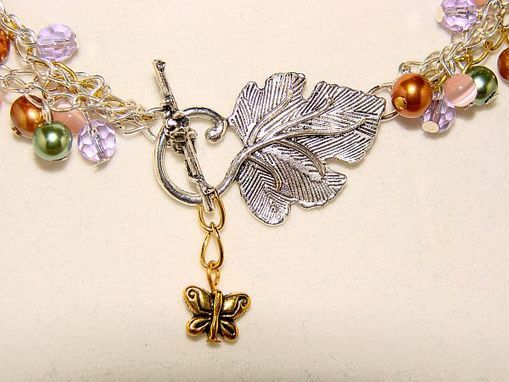 Silver plated leaf toggle, gold plated butterfly. 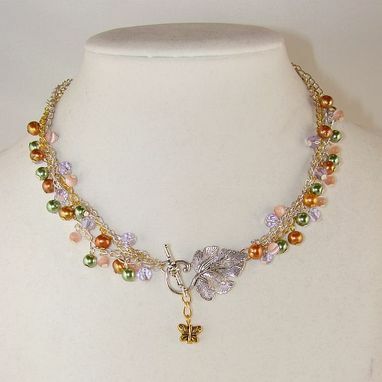 Clasps in front for a different look.